Oregon. Home of wild rivers and mountains, progressive politics, a strong environmental ethic, and... millions of clearcuts. ​That's right. Despite Oregon's "green" reputation, the laws that regulate logging in our state encourage clearcutting that destroy precious wildlife habitat, pollutes clean drinking water, warms the planet, endangers the health of communities, and threatens Oregon's natural heritage and beauty. Perhaps most alarming, the clearcutting industry in Oregon is the #1 emitter of carbon pollution that causes global warming in our state. Something has to change. To preserve the Oregon we all know and love, we have to modernize logging laws that allow massive clearcuts, aerial spraying of chemicals, and destruction of salmon and wildlife habitat. 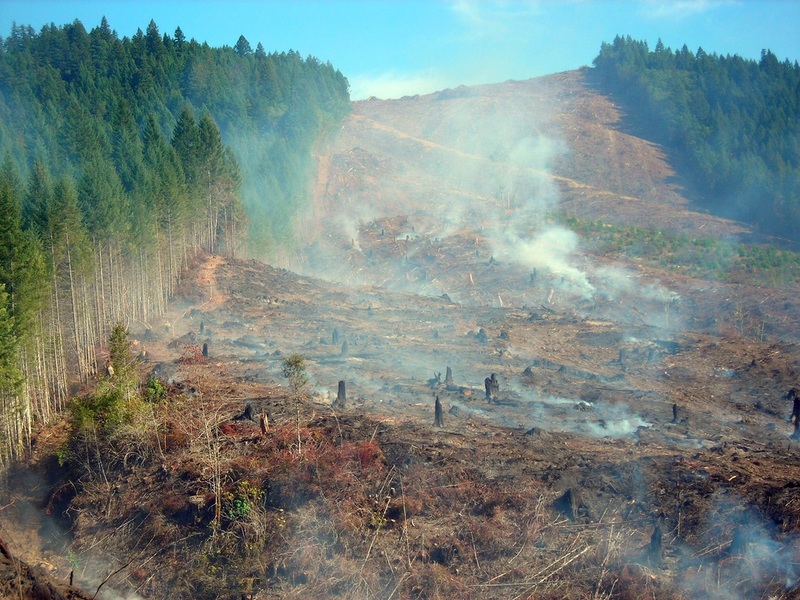 ​Find out more about what you can do to change clearcutting in Oregon. Time lapse satellite imagery of the Oregon Coast Range near Cannon Beach.